Ok.. I love my apex so I have to of course give a five star for this module. Works as promised and easy to hang. Five stars. 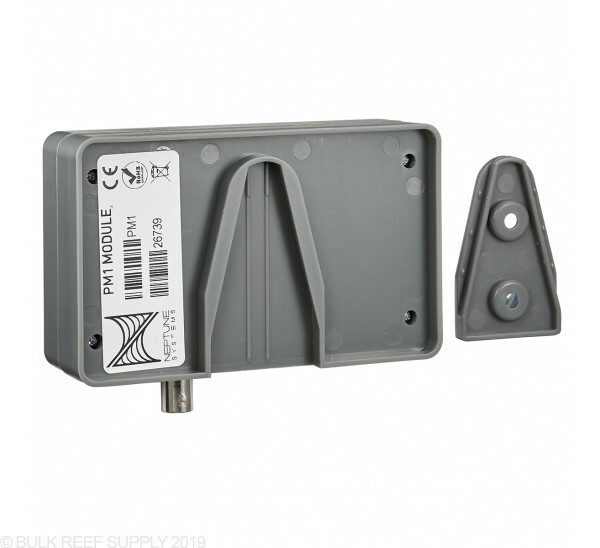 if your looking for a way to monitor PH of CaRx then this is what your looking for. If your looking for that extra temp monitor or breakout this is item for you. Get this and set it up last night. I'm using it for a second temp probe and second ORP probe, both in the overflow. 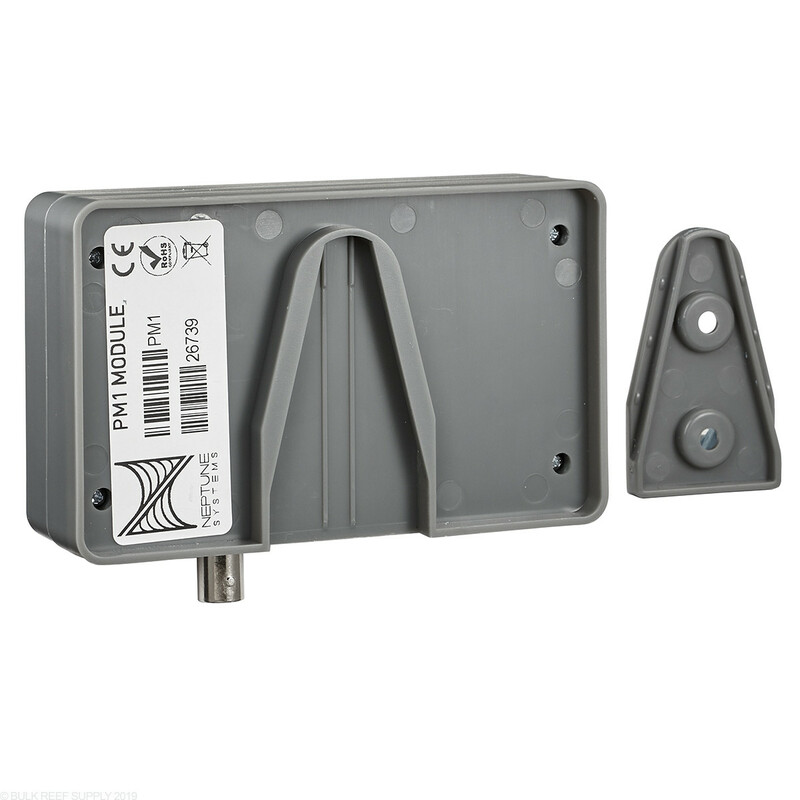 Temp probe setup is straightforward, but at first, only the pH tile (no ORP tile) appears on your Apex dashboard. To get the ORP tile, you need to use the Apex display module, go to System -> ORP Setup, select the new module and Enable. The module manual .pdf says there is no way to do this via the web interface, but that manual is old and may no longer be accurate. I have the Display, so I used it and it worked. But the Display isn't part of the basic Apex setup anymore, so many people may not have it available. Also, BRS should change the image in this listing, as the one I received and presumably other PM1s currently shipping are of the newer lighter grey, plastic, concealed screw, style. I mainly purchased this to add another temp sensor to my system. 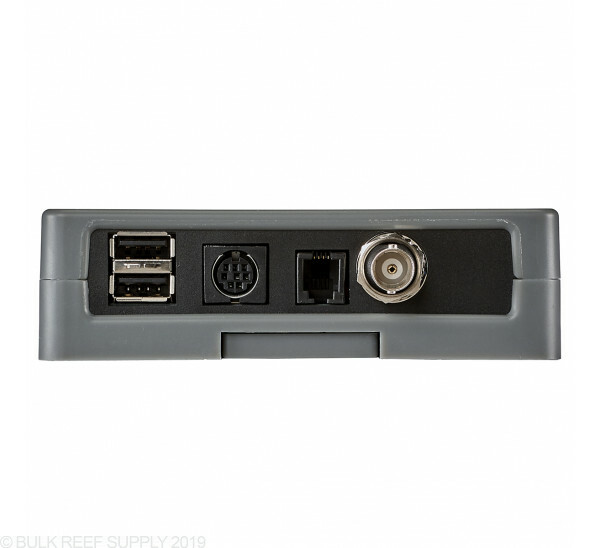 Also, added another i/o port which you can use to add another breakout box. 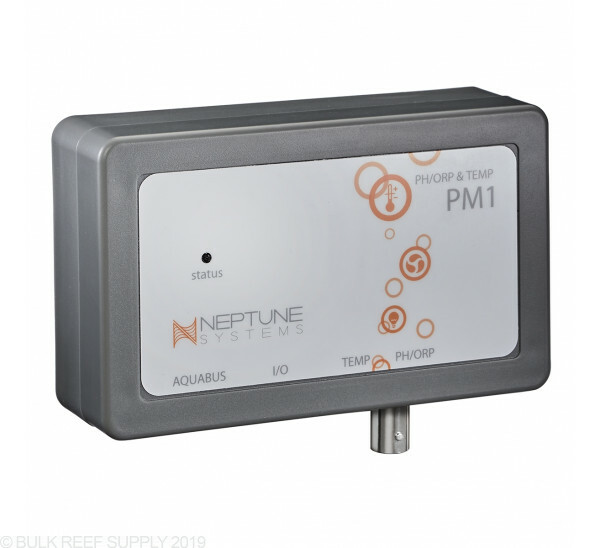 Finally, another pH port is nice, if you want to have another pH measurement from you tank or sump. Overall useful module and I have experienced no issues with it to date. Purchased this from BRS came the next day. Hooked it up and would not configure. Sent an email to Apex and received a prompt response. We set up a time for a phone session and the problem was quickly resolved. Anyone can make a good product. However, in my experience not everyone has great customer support. Neptune Apex does both! 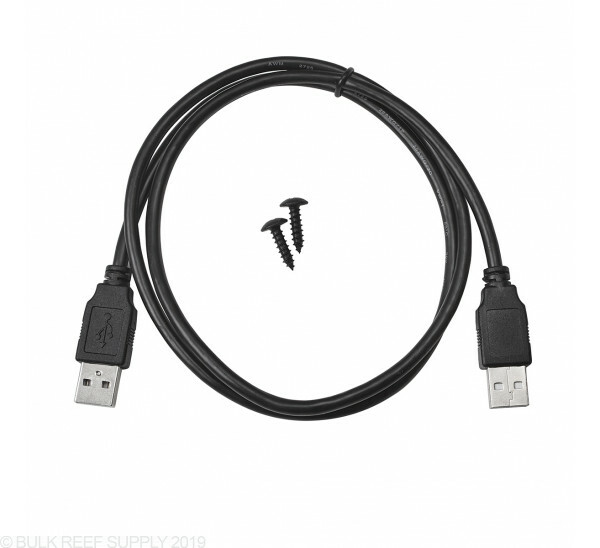 BRS carries tested and tried products and this one does all that it says it does with a company behind it that offers great support for when things don't go as planned. 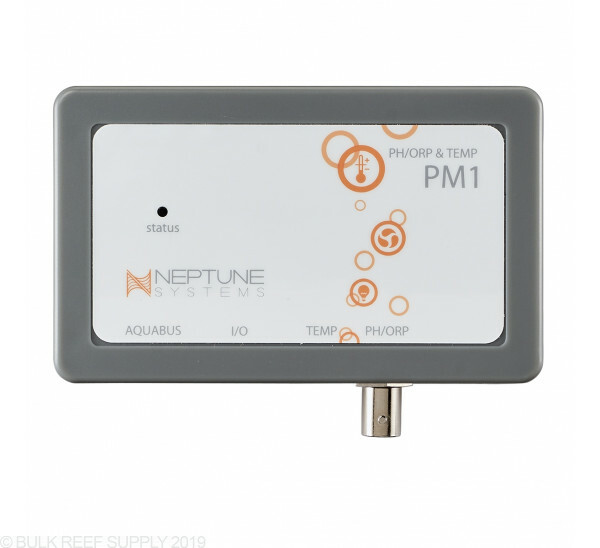 Added one of these to contol pH and temp in my 2nd tank. It does what it's supposed to and I'm using it for temp, PH, and I/O Breakout with no complaints. 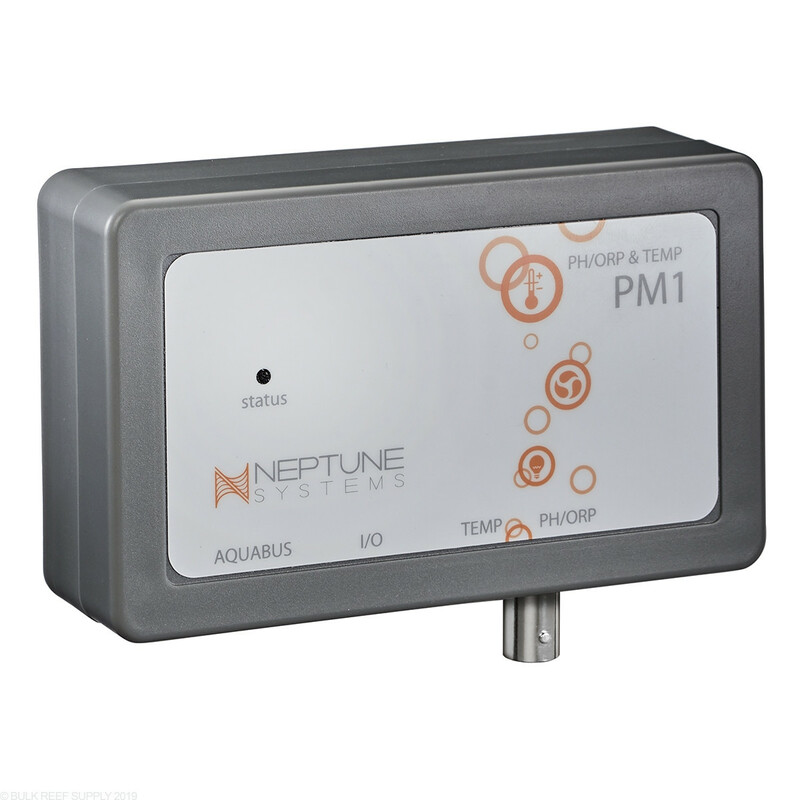 Works now but they have manufacturing quality issues with the PM1/PM2 where it won't stay online and the green light starts flashing when it goes offline. It took literally a day wasted back and forth email (they don't answer phones or even have a support phone queue) with Neptune before they logged in and fixed it with a manual patch. That seems to have worked but I was told if that didn't fix it then it needed to be sent back RMA. Fortunately I have not had this issue with the PM2. True to Neptune they won't ever acknowledge/admit what the problem is. I was going to return it to BRS for a new one but after agreeing to a RMA (your on your own to deal with manufacturer after 14 days) took 4 days to email it to me. That was strike two for BRS. 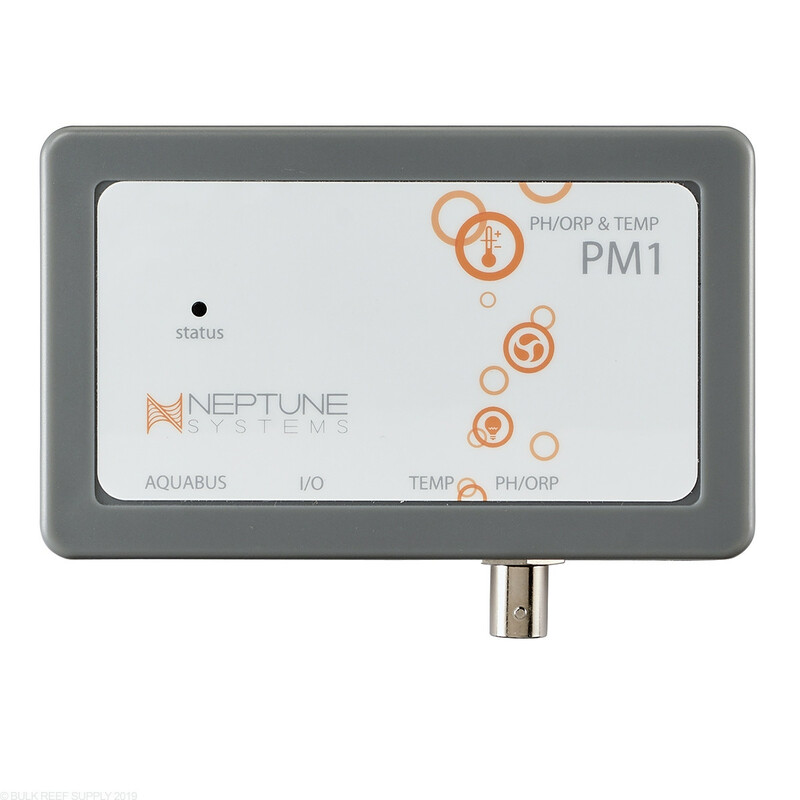 The PM1 does come with a port for an additional temperature probe as well (probe sold separately). Does the module come with a standard probe? Or do I have purchase it separately? 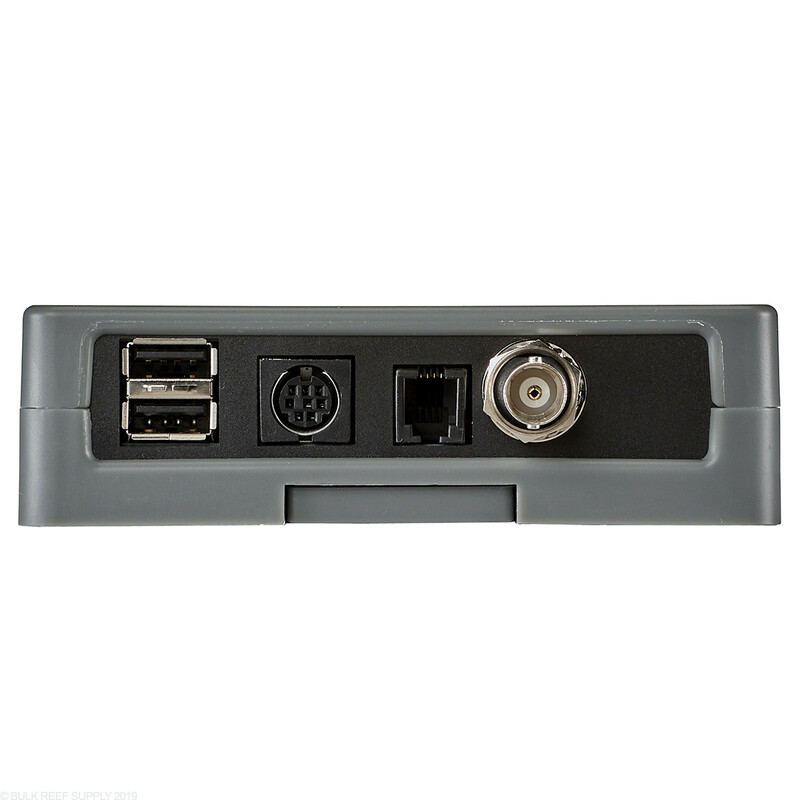 This will only include the Module itself without the probes which are sold separately. Feel free to let us know if you have any further questions! I would like to add a second ph probe and my EB8 has no available aquabus slots. Can the aquabus connection be made to an open slot on the Apex unit? 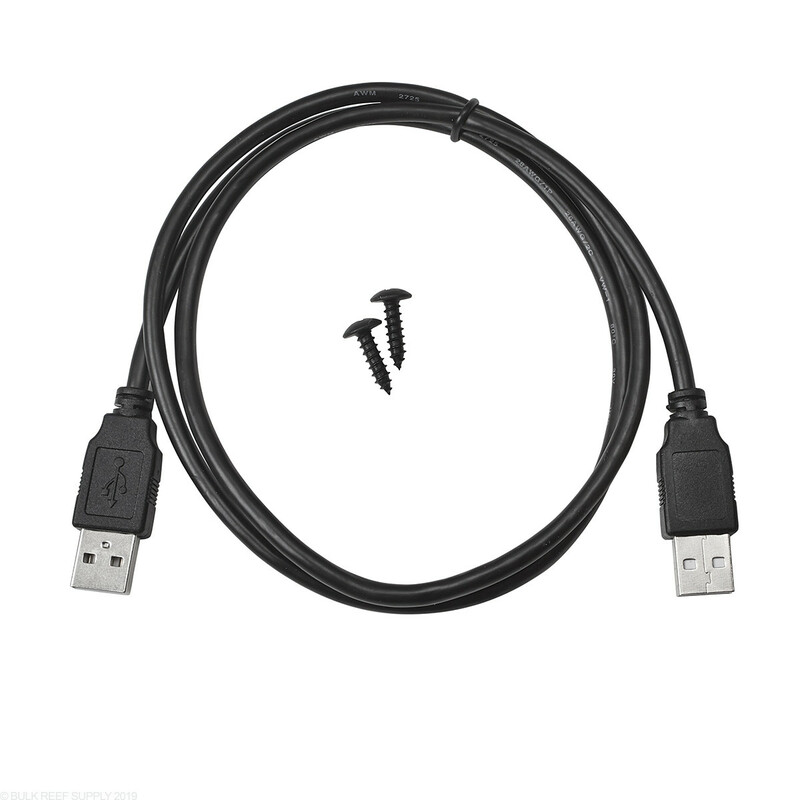 Is this compatible with the Apex Jr? It sure is. The only detail is that Apex Jr has a 5 module maximum, so if you already have 5 modules, then you cannot add any more (PM1 or any other type). If you don't already have 5 modules, then you can add it no problem.